MMD chairman for elections Gabriel Namulambe has disclosed that the Patriotic Front (PF) is bribing voters with K5000 notes and planning to cause chaos in the Mufumbwe by dressing up their cadres in MMD regalia. And collaborating information gathered by the Watchdog show that the MMD and UPND regalia to be used for violence in Mufumbwe is being printed by Matero PF MP Miles Sampa with a convicted criminal Opper Hamiyanze. Namulambe told journalists Thursday afternoon that the PF is dishing out K5000 to individuals in Mufumbwe’s Yasonso area. He said the MMD has evidence to that effect as some of its members were also given the money. He said the party will use that that as evidence “should the worse comes to the worst” referring to a possibility of challenging the results should the PF win through these evil tacticts. “We are again aware of the fact that because of the diminishing popularity of PF despite being the ruling party and that they are not known in the area they intend to ferry some people to Mufumbwe with MMD party regalia so as to go and cause confusion. I don’t know where they will pick them from, but that’s the information we have,” he said. But the Watchdog has since learnt that the fake MMD and UPND T-shirts are being printed in Matero under the supervision of Miles Sampa, who is also Finance deputy minister and nephew to President Michael Sata. According to PF sources in Matero, the first consignment of T-shirts and caps were printed two days after Betty Kaunda died and they were meant to be used to fan violence at the funeral of Zambia’s founding first lady. The project is being handled by Opper Hamiyanze, one time PF Southern province coordinator. Hamiyanze, who has been based in Choma has since shifted to Matero where he is specialising in siphoning money from Sampa by cheating him that he knows how to ‘finish’ the opposition especially UPND. It was Hamiyanze’s idea to dress PF thugs in opposition regalia and set them on innocent people then bale the opposition. Sampa found idea appealing and has been funding the project ever since. But Sampa’s right handyman Hamiyanze is just a common criminal. Maybe that is why he suits so well in PF. In June 2011, Opper Hamiyanze was sentenced to 12 months imprisonment by a Choma magistrate’s court on six counts of obtaining pecuniary advantage by false pretences. Resident magistrate, Willie Sinyangwe convicted Hamiyanze on all six counts and the sentences were to run concurrently. In the first count, Hamiyanze was given a custodial sentence of three months, six months in the second and nine months were slapped on him in the third count. Hamiyanze was convicted for another nine months in the fourth and 12 months for the fifth and sixth counts. In mitigation, Hamiyanze asked for the court’s leniency, saying he was a father of six, a businessperson and a strong politician, who wished to contest the 2011 general elections. 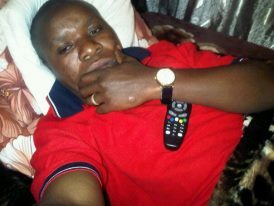 Despite being the first offender, magistrate Sinyangwe sent Hamiyanze to jail, ruling that the offence he committed was a serious one.